Kaepernick celebrating with Vernon Davis in the NFC Championship Game. We’ve made it to the end of the 93rd season of the National Football League and we have an intriguing match-up going into Super Bowl XLVII. Do you realize Colin Kaepernick is about to become the quarterback with the fewest starts to start a Super Bowl?? The fewest starts for a Super Bowl quarterback was 11 by Roger Staubach going into game number VI. Next Sunday will be Colin’s 8th. Much like Staubach, Kaepernick runs the football yet his are more out of design than by a flaw of not reading the defense. We have a saying around here: “At some point you have to believe what your eyes are showing you.” Going into the playoffs his statistics were no different than Alex Smith’s and there were two schools of thought. We made the case for not rolling over the plan to start Kaepernick so late in the season for fear it would come back to haunt the Niners in a playoff game if they fell behind. Well staring up at a 17-0 deficit to Atlanta in the NFC Championship a week after being down 7-0 to Green Bay has put an answer to that. He has been cool under fire but at the conclusion of the regular season, Smith had a better completion percentage (70.2%-62.4%) and touchdowns (13-10) with the same 218 attempts on the season. We wrote our countenances down but Kaepernick has performed in the playoffs. There was nothing outside of 49er practices that indicated what we were about to see in the upcoming playoffs. Listening to 49er fans doesn’t count, assess the situation. Facts are facts. The read -option is one wrinkle the NFL has yet to catch onto. However that’s old news as he water-tortured the Packers defense to the tune of 444 yards both rushing and receiving in the divisional round of the playoffs. It was an exhibition of why you can’t just line up in man to man, rush four and allow #7 to break containment accounted for. His 181 yard record-setting rushing performance was a lightning in a bottle situation. What was most impressive was in the NFC Championship he hardly ran at all as he went 16 of 21 for 233 yards and a touchdown. He showed maturity in staying within the game plan which called for him not to run. In fact if you paid attention to the offensive play calling, it was pretty traditional until they got into the red-zone where they would then go to “The Pistol”. Back in 2001 on ESPN, it was Steve Young who asked “Who would be the genius to come up with the next NFL offensive craze to take advantage of these more mobile quarterbacks?” citing the “West Coast” offense had become passe’. Let’s face facts, there hasn’t been a team running that offense in its normal sense in about 15 years. It never had been an offense of multiple receiver sets or even the shotgun formation. Yet here we are where the quarterback is a part of the running game again. Now it has become 11 v. 11 again and it will be some time before teams catch on how to defend it. With the emergence of RGIII, Russell Wilson, and Kapernick the NFL has turned a corner with a new offensive style. With one more win, Roger Staubach will be removed from the record book as the quarterback with the fewest starts to win a Super Bowl. 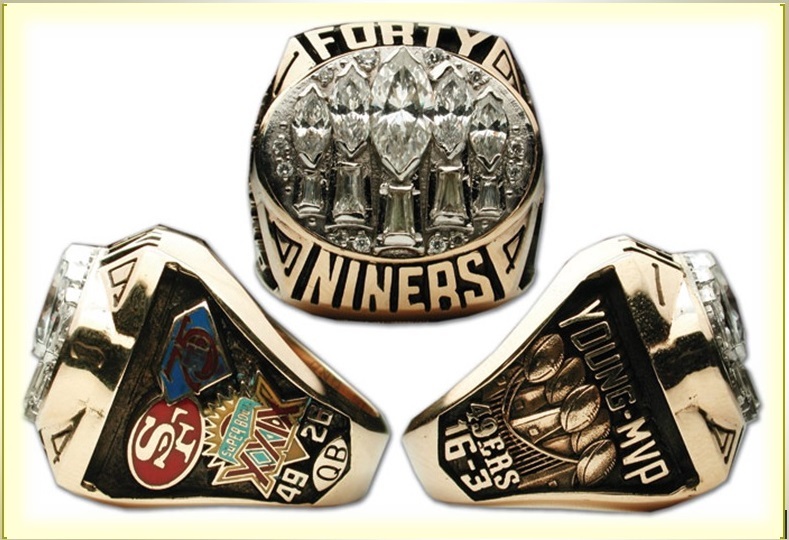 It took Joe Montana 3 years to win his first Super Bowl in 1981, and took Steve Young 5 to win his first. How big will Colin’s legend grow with a win on Sunday as a 49er?? Ironically his rise is more reminiscent of Staubach’s than any 49er quarterback. In 1970 the Cowboys made it to Super Bowl V with Craig Morton the undisputed starter yet came up short. The following year Tom Landry started tinkering with the offense and wanted his mobile young QB to take some game time snaps. First a few plays here and there and then he was made the starter at the mid-season point. Sounds familiar doesn’t it?? 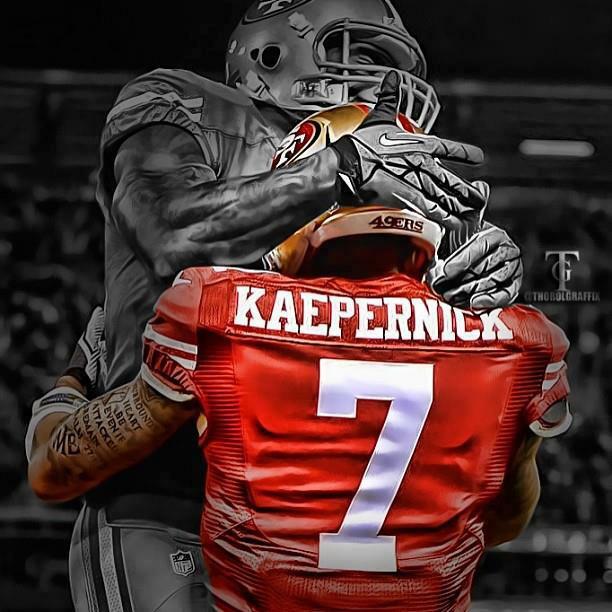 San Francisco is hoping for 1 more win with Kapernick. The first thing he has to do is not let the magnitude of the Super Bowl overwhelm him. He is very cool under pressure and always has been dating back to his days at Nevada. It was there when the bright lights of ESPN where there to follow the #3 ranked Boise St Broncos in their last game to claim a shot at the National Championship game. However it was his #19 Wolfpack that defeated them 34-31 in the best college game of 2010 and a WAC showcase for he and Doug Martin. It was his school’s biggest win in team history. He now has shown to not have the magnitude of the NFL playoffs get to him. Will the pressure get to him for the Super Bowl?? While he hasn’t shown a penchant to let the pressures get to him he has to go through the whole of media week and the two-week spectacle in New Orleans. History says a young player will feel that pressure, and he will be facing future Hall of Famers Ed Reed and Ray Lewis on Sunday. If he can stare down Ray Lewis, who will be playing his last game in the Super Bowl, how big will his legend grow?? The position of quarterback is unique in the sports world. No other position commands more respect, need to process information in a more condensed timeframe, or expected to lead his team with his play and demeanor like that of a quarterback. Point guards in basketball call out the plays but the team is defined by their big men and scoring comes from either forward positions or the shooting guard. Pitchers share pitch calls with the catcher and the relief pitcher finishes a tight game to help the pitcher get a win. The quarterback has to do all of these things which include last second touchdown drives in a two-minute drill. He doesn’t get to turn the game over to a reliever. He is easily the central nervous system of the team and without his efforts they’re paralyzed to move the ball or win. The greatest quarterbacks ever master all of these qualities. The art of the pre-snap read, then to decipher what the defense is doing in under 2 seconds and where his teammate are going to be, while making the right throw. All the while 4 to 5 fire-breathing defenders are closing in to do bodily harm. So what makes the great ones, who stand amidst the masses, and calmly deliver the football? There are all time quarterbacks who are winners and championship teams whose quarterback went along for the ride. The all time greats willed their team to victory through their play. Here is my all time list. Joe Montana: First 3 time Super Bowl MVP while quarterbacking 4 Super Bowl Champions in San Francisco. Performed the signature play of a dynasty with “The Catch” in the 1981 NFC Championship. Beginning in 1983 as a starting QB he led 10 straight teams to the playoffs (49ers ‘83-’90, Chiefs 93 & 94). Ushered in the West Coast offense as a staple while leading more than 30 4th quarter come from behind drives. Had 8 3,000 yard seasons including his last. 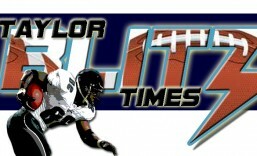 Although 1989 was statistically his best season, in 11 games in 1987 he threw for his career high of 31 TDs. The best. Johnny Unitas: Frank DeFord once said that “All quarterbacks today are descendants of Johnny Unitas.” The benchmark every quarterback is still be measured by. Retired with more than 40,000 yards passing, 3 NFL Championships, a 4th with a Super Bowl III loser. Engineered the first two minute drill in the last minutes of the 1958 NFL Championship. His leadership, demeanor, throwing style, and playing style molded the next two generations of youngsters with how the game should be played. Still holds the equivalent of Joe DiMaggio’s 56 game hitting streak with 47 straight games with a touchdown pass. I think Unitas feat is greater. Had 11 seasons with over 2500 yards passing. Otto Graham: The first quintessential winner who was part of a system (Paul Brown’s) that led Cleveland to 10 straight championship appearances. From 1946-1949 the Cleveland Browns ruled the AAFC winning all for league titles. Then once merged into the NFL: 1950-1955 the Cleveland Browns were in every championship game winning 3 of them while battling the Detroit Lions and Cleveland Rams. The first quarterback on a Wheaties Box and Mapo Oatmeal commercials so youngsters could “be like Mike.” Statistics don’t measure the man and what he meant for his football team as a leader. Brett Favre: Winningest quarterback ever. Embodied the epitome of a gunslinger and was durable. He broke the record of most consecutive starts for a QB in October of 1999 at 114 straight and kept it going until he retired after 2011 with over 290, nearly tripling it. First MVP of the league in 3 consecutive seasons. 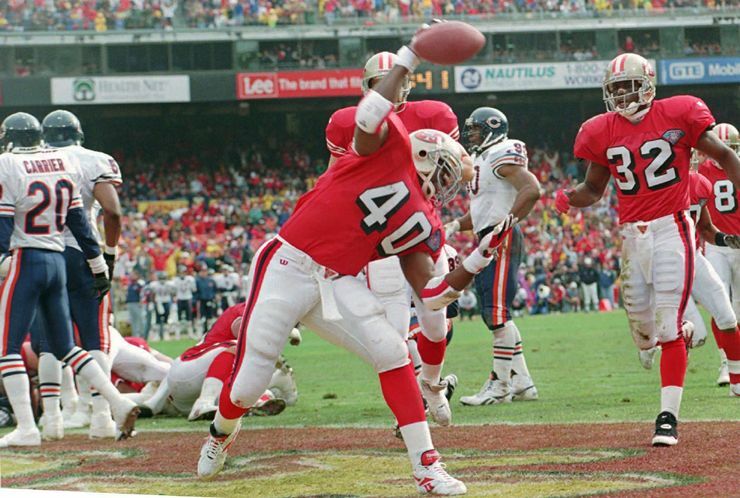 He brought the Packer’s franchise out of the doldrums of the NFL and made them winners in Super Bowl XXXI. Favre threw for a conference record for TD passes with 38 and 39 respectively in 95 and 96. Would go on to throw for the most yards & TDs in history. A gunslinger from the word go, his first taste of NFL action in 1992, he replaced Don Majkoski and hit Kittrick Taylor with a game winning TD with under a minute to go. A flair for the dramatic. Had 1 stretch to begin 1999 where he engineered 4 straight 4th quarter comebacks in successive weeks with under 2 minutes to go. One of a kind. Dan Marino: A completely transcendent performer with a quick release that burst onto the scene in 1983. His record breaking year of 1984 was the single greatest passing performance ever. He shattered the single season record for TDs in a season at 48, blowing by the old record of 36. He became the first to throw for 5,000 yards in a season. Also threw for 44TDs in 1986. His attitude and throwing motion struck fear in defenses for most of his career. His undermanned Dolphins never won the Super Bowl during his tenure. Went on to throw for 61,000 yards and 420TDs over his career. His release (on film) was under 9 frames when the typical frame rate for most QBs was 12 – 13. So when you see film of someone almost sacking him, had they been someone else it would have been. By the way, it was Marino who has the most 4th quarter comebacks at 36 to John Elway’s 34…just so you know. Tom Brady: A 3-time Super Bowl champion who quarterbacked the Patriots to team of the decade status in the ‘00s. A technical quarterback with an emotional streak that went from being a serviceable player to one of the best ever. He holds the single season record for TDs at 50, directed the only 16-0 regular season, and still in his prime can achieve another milestone or two. Entering the latter stages in his career and still writing his history. Terry Bradshaw: The number one draft pick in 1970 who became the first 4 time Super Bowl winner and MVP of the 13th and 14th editions. He led the Steelers to 4 championships in 6 years. Had a rocket arm and was a tough runner early in his career. Became a more complete quarterback as the Steelers attack took to the air in 1978 with the rules changes. Played big in big games. He iced Super Bowl IX with a TD to Larry Brown and had his first 300 yard game in Super Bowl XIII while setting the TD pass record in Super Bowl’s at 4. 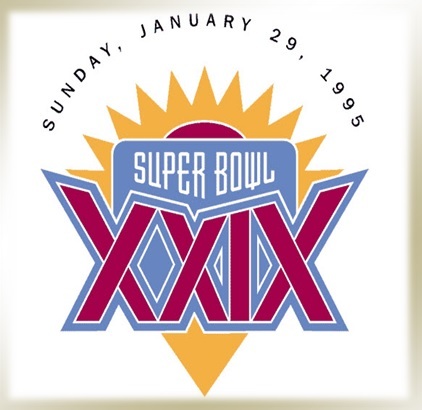 Held the Super Bowl record for longest TD (to Stallworth75 yards) and nearly matched it with a game winning TD pass to Stallworth at 73yds in Super Bowl XIV against the Los Angeles Rams. Roger Staubach: Tremendous quarterback who began as a scrambler, evolved into a true pocket passer and retired as the highest rated quarterback ever in 1979. Was efficient and led the Cowboys to 8 playoff appearances in 9 years. A fearless leader who brought Dallas from behind 23 times in the final two minutes or in overtime. Roger the Dodger morphed into Captain Comeback and was one of sport’s biggest icons. John Elway: The rocket arm quarterback who brashly demanded a trade before he ever played a game. The heir to Staubach’s comeback mantle by producing 30 wins in the final two minutes or in overtime. Produced some of the most breathtaking drives in playoff history. Passed for numerous 3,000 yard seasons and won a record 5 conference championships including 2 Super Bowl championships. Had one of the strongest arms in NFL history and the architect of 34 4th quarter comebacks and many of the breath taking variety. 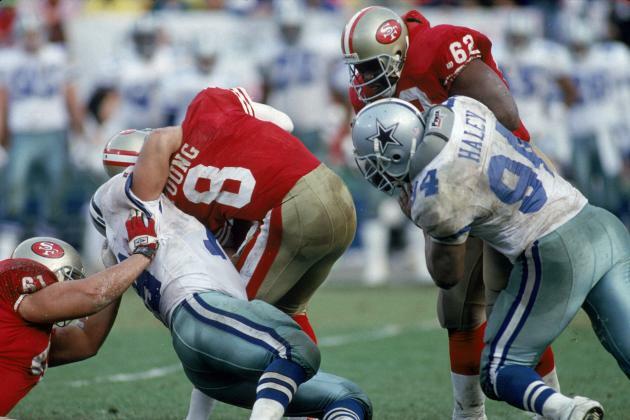 Steve Young: Greatest left hander in history. Replaced Joe Montana and led the NFL in passer rating 4 straight years, made 3 NFC Championships, and won one Super Bowl during that era. 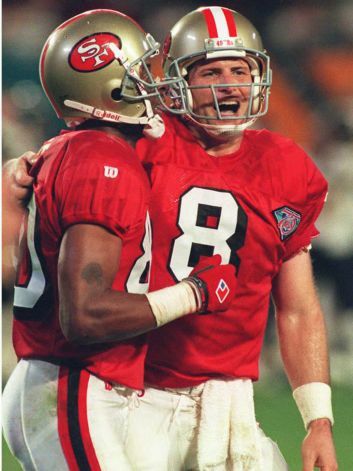 He went on to set a record for passing efficiency in 1994 and led the 49ers to the playoffs 7 straight seasons and 4 berths in the NFC Championship Game. He was also a fearless and rugged runner. A weapon that allowed the 49ers to play offense 11 on 11 since teams rarely account for the quarterback. Saved many drives with his ability to run. So who’s your top ten?!? !